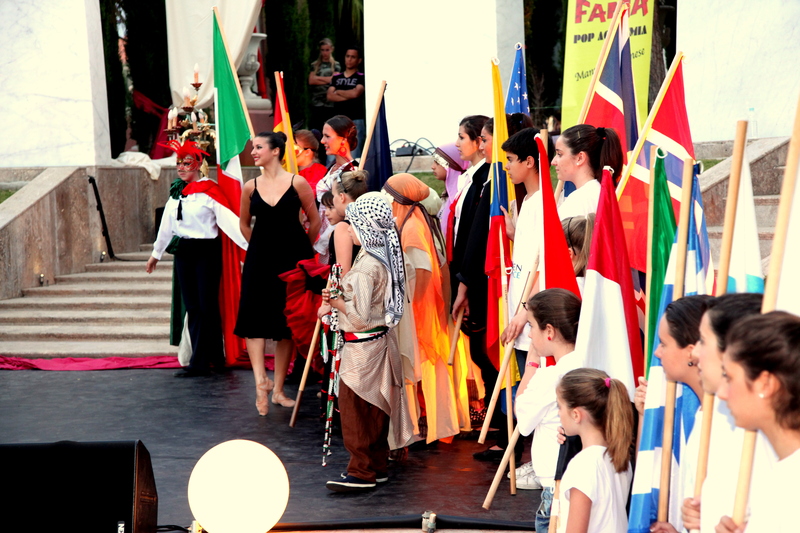 Manuela Veronese and F.A.M.A at the Children for Peace Gala 2011 | Marbella Marbella – Adelante! All the members of the Marbella Marbella Adelante website team, wish to thank the hardworking, imaginative and highly gifted Manuela Veronese and her superbly talented children who provided all the guests at The Children for Peace Charity Gala, a special evening of entertainment as her numerous young dancers gracefully performed a number of intricate and unusual dances. It was a colourful, positive tour de force and an enjoyable experience for those who watched this part of the Gala especially, those of us who knew how much of herself, personal sacrifice and determination she put in to this childrens’ show to help this Rome based charity free of any charge. Debbi Mace the President of The Children for Peace brought to Marbella around fifteen Palestinian children to dance at the her event and Manuela skillfully intergated them into her show. She was with the corps de ballet at the Bremer Theater with choreographer Hans Kresnik in tours in Poland, Warsaw and Danzig, and Germany, Stuttgart, Hamburg.